This is the quilt I'm auctioning for the benefit of the Australia Flood Victims. Such a special quilt! Pretty ... fun ... funky ... unique. 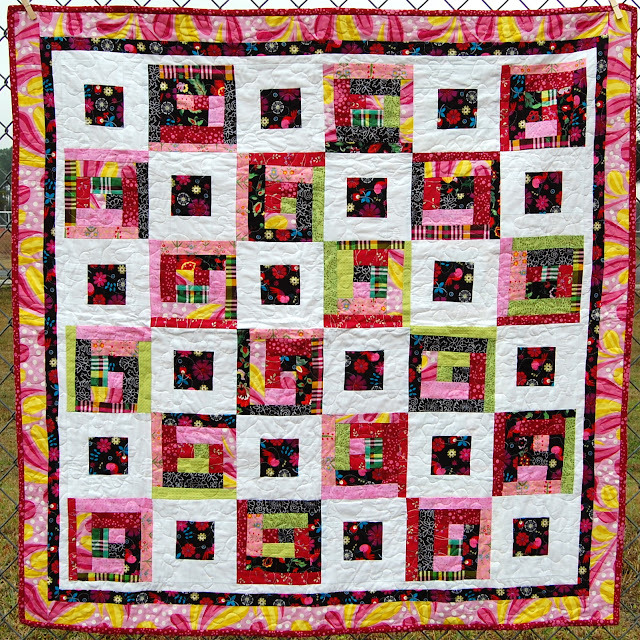 The starting point fabric in this quilt is the black cotton with pink bird and flowers. 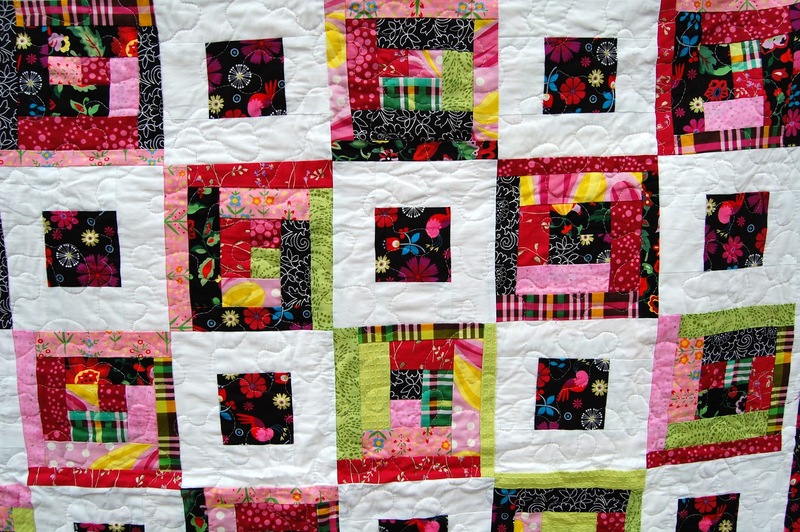 The blocks are sewn log-cabin style, but are random as tends to be my preference. 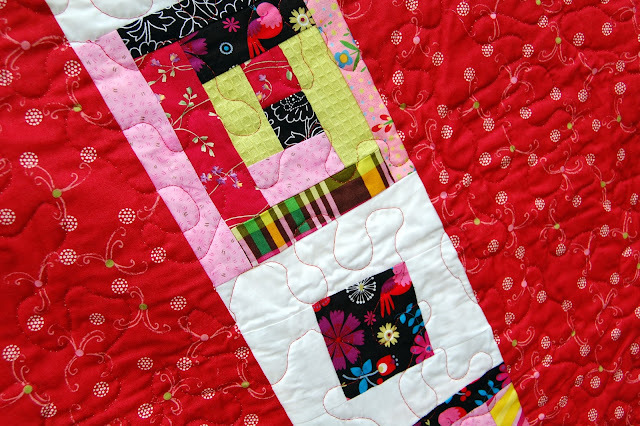 There are quite a few Anna Maria Horner fabrics mixed into this cheery quilt. The binding is a reddish pink polka dot. 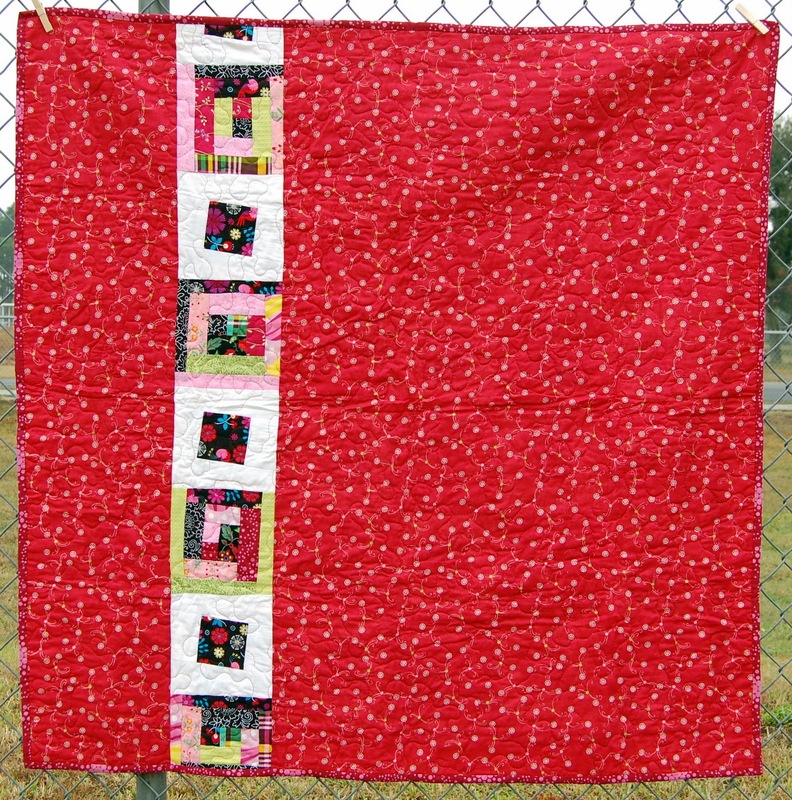 The backside is a red Ikea fabric with a row of blocks to tie in with the front. 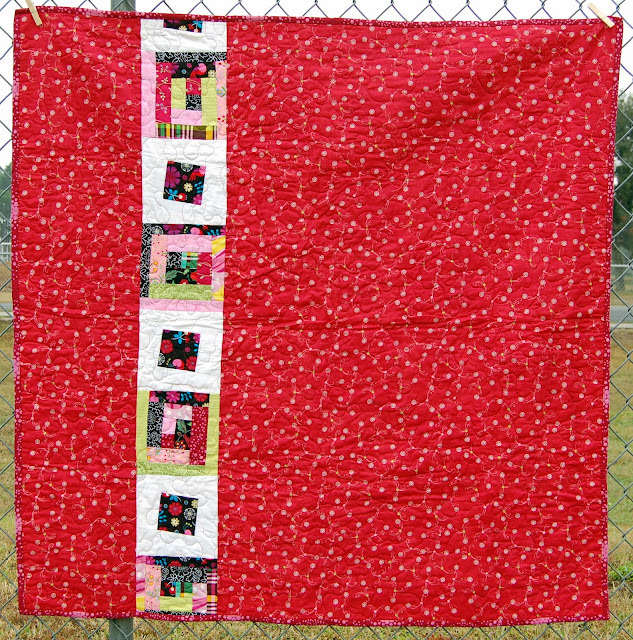 The quilting is done with a loose wavy freemotion stitch. The batting is a cotton and bamboo blend. Measuring a generous 48" square this is the perfect size for a lap quilt, floor play mat, wall hanging, or toddler bed cover. Auction has ended. Thank you! 1. Bidding will start at $40 (Australian Dollars - right now that's about the same as US dollars - $100 USD = $101.48 AUD). 4. This auction is open to everyone, however $20 will be charged for International addresses. Postage is FREE for United States residents. 5. The auction begins NOW and will END at midnight on Monday January 24, 2011. 6. At the close of the auction, I will contact the winner (please make sure your bid comment includes your email address). The winner will pay the winning amount directly into the Premier's Flood Relief Appeal with either a Visa, MC, or American Express and send me proof of payment via email. I ran a "mock transaction" as far as entering credit card information and it made no difference that I was in the United States, but if you have any problems submitting payment let me know. Once proof of payment has been received, I will send your lovely quilt to you. 7. Thank you for participating and happy bidding! Updated 1/19/2011 : I have removed the shipping fee. I will cover shipping to anywhere. 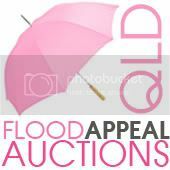 If you can't bid or contribute financially, as many can't, or even if you can and do, please link to this post via your blog, facebook, twitter, whatever and also get the word out about the QLD Flood Relief Appeals Auctions. Thanks so much and good luck! i would love to start the bidding off at $40 i am sure i will be outbid in no time!!! $45 bid for Emmi, via facebook. Thank you! $80 bid for Dawn McCarthy, via Facebook. Thank you all! Can I try $210 please. Love this! 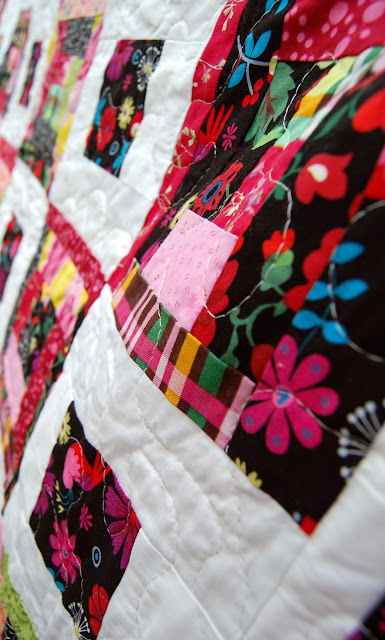 The quilt and the giving nature in which it is available to me. I would like to bid $350.00. Will cross my fingers until morning. Cheers, Jen. Hoping I'm the winner. I'm in Australia so I guess I'll have to wait until you wake up! Cheers, Jen. 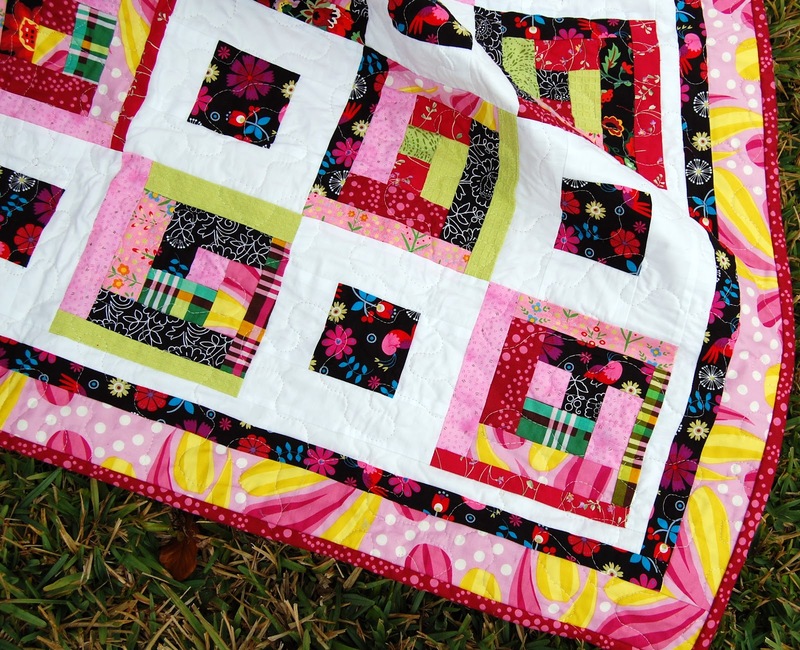 Congratulations to Jen, the winner of the quilt! Thank you all so very much for your support. Thank you for donating your beautiful quilt.